Former Crystal Palace and Arsenal striker Ian Wright has described coming on as a substitute and scoring in the 1990 FA Cup final against Manchester United as "the greatest moment" of his life. Palace drew 3-3 in the final, before losing 1-0 in the replay to a Lee Martin goal. For Wright it was coming on as a substitute and scoring twice when 2-1 down that lives in his memory. 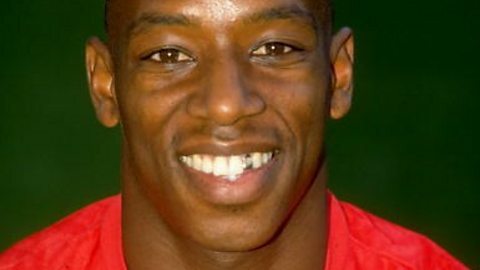 FA Cup Final: Ian Wright - "My Greatest Moment"
"I felt I was welling up - this is the greatest moment of my life, easily. Four years out of playing Sunday football I was playing at Wembley, against Manchester United and I’d come off the bench and scored. "If it was the only thing I was ever able to achieve – because the FA Cup meant so much to me – that would have been enough. "They would have sacked Sir Alex Ferguson if we had won that game". 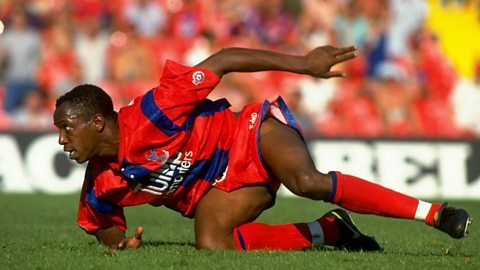 FA Cup: Ian Wright - "My greatest moment"
Ex-Crystal Palace striker Ian Wright on his substitute appearance in the 1990 Final.